Brick homes are known for their excellent durability, making them a popular choice for homeowners. While their longevity makes them a good option, it also means a large area of your home’s exterior is permanent. Other elements like doors, windows and siding can always be changed, so if you own a brick home, we recommend considering its color when choosing a new roof. The red shade of brick goes well with dark browns and grays. To match multi-colored bricks, choose a more continuous color on your roof so your house doesn’t look too overwhelming. To highlight your home’s architectural style, contractors know it’s best to choose colors that can highlight its unique features. Natural slate, in particular, complements the fine details of Colonial homes very well. Ranches, on the other hand, look best with weathered grays and greens to create a rustic look. Warm orange-red shades and curved metal tiles bring life to stucco homes. You can also take cues from the other exterior elements of your home. Stone walls, bay windows and wrap-around porches are some features that you can draw inspiration from. Make them more prominent by choosing a roof color that complements their shade. To highlight a covered porch, however, avoid colors that are similar to its wood or paint, as this can create a blending effect. 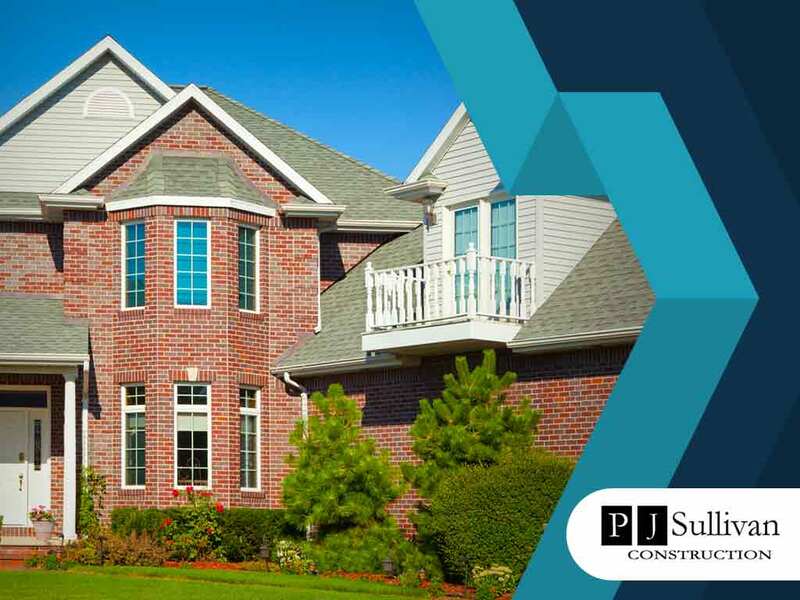 PJ Sullivan Construction is one of the most trusted home addition companies in the area. Call us today at (201) 614-2724 in New Jersey or at (914) 215-5837 in New York. We work with homeowners in Bergen County, including Wyckoff, NJ.